GarageBand for iPad earned a T3 Awards nomination for App of the Year. Now iPhone and iPod touch owners can get their hands on the mobile version of the famous Mac OS X music creation tool. 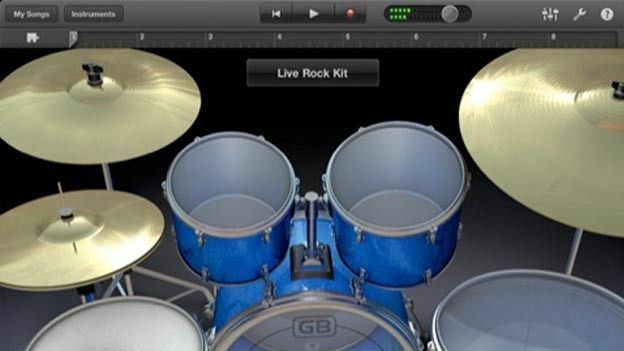 Apple has released its uber-successful GarageBand application for the iPhone and iPod touch, over seven months after the home music creation tool arrived on the iPad. The iPhone app, like its big brother will cost just £2.99, but if you've already downloaded it for the tablet you won't need to pay for it again. That universal native of the app means that all of the T3 Award-nominated features of the iPad version also translate to the smaller devices. You'll be able to make recordings on the go, plug your guitar into the iPhone's headphone jack and also play the built-in array of guitars, basses, keyboards, pianos and drum kits using the multi-touch capabilities on both the iPod touch and iPhone. For those of you unable to play an instrument, there's a host of smart incidents which will allow you to hit chords and create beats without the years of training and practice. Apple's marketing kingpin Phil Schiller weighed in: "GarageBand on iPad has been a big hit and we think customers will love using it on their iPhone or iPod touch,"
"The innovative Multi-Touch interface combined with Smart Instruments makes it easy to create great sounding music, even if you've never studied music or played an instrument before."